Marc received a bachelor's degree in accounting from the University of Wisconsin-Milwaukee and a MBA from Benedictine University. Marc has had a long and diversified career both as a professional and entrepreneur. His professional career has spanned the U.S. as well as internationally. On an entrepreneurial level, Marc Schiller has launched several successful businesses including two accounting practices both in Miami and Houston, a delicatessen in Miami and an options and stock trading company. Marc Schiller currently works as an accounting and tax resolution specialist for a national tax resolution company. 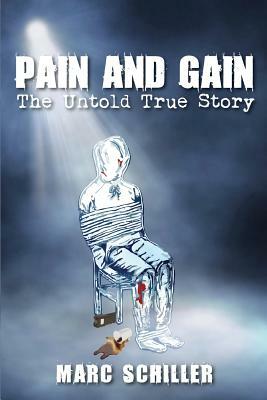 'Pain and Gain - The Untold Story' is Marc Schiller's first literary publication. A fictionalized version of Marc Schiller, Victor Krenshaw played by Tony Tony Shaloub, will be featured in the new Paramount and Michael Bay movie Pain and Gain. Marc has appeared and featured on ABC's 20/20, CBS's 48 HRS, The Miami New Times, London Sun, Las Vegas Examiner and The Miami Herald.